New Delhi: The first week of the Indian Premier League has seen some nail-biting encounters and one team that has ensured edge-of-the-seat entertainment is Kolkata Knight Riders. Having won both their games so far, they have come here to take on the Delhi Capitals in their third game of the 12th edition of the cash-rich league at the Feroz Shah Kotla. While KKR have been on a roll, Delhi Capitals have had a mixed fate. While they thrashed Mumbai Indians in their opening game, they lost to Chennai Super Kings at home in their second game. Going into their third game of the season, DC will want to put the campaign back on track and avoid getting stuck like in the last few seasons. Drafted into the team at the start of the season by Capitals to cement the batting, India opener Shikhar Dhawan has failed to provide the quickfire starts at the top. While he has scored runs in both the games, including a 50 in the last game against CSK, his scoring rate has left a lot to be desired. In fact, head coach Ricky Ponting accepted after the CSK game that he would ideally want Dhawan to score a little fast so that there isn’t unnecessary pressure on someone like Rishabh Pant. The Delhi batting has again looked to rely heavily on Pant to provide the finishing touches towards the end of the innings. The likes of Colin Ingram and skipper Shreyas Iyer will definitely want to produce the goods in the middle overs to ensure that Pant doesn’t walk into the game under undue pressure, but it will not be easy for DC against a quality bowling side like KKR. The Kolkata bowling unit has looked really solid with both R. Prasidh and Lockie Ferguson starting well and the spinning trio of Kuldeep Yadav, Sunil Narine and Piyush Chawla coming into the game. 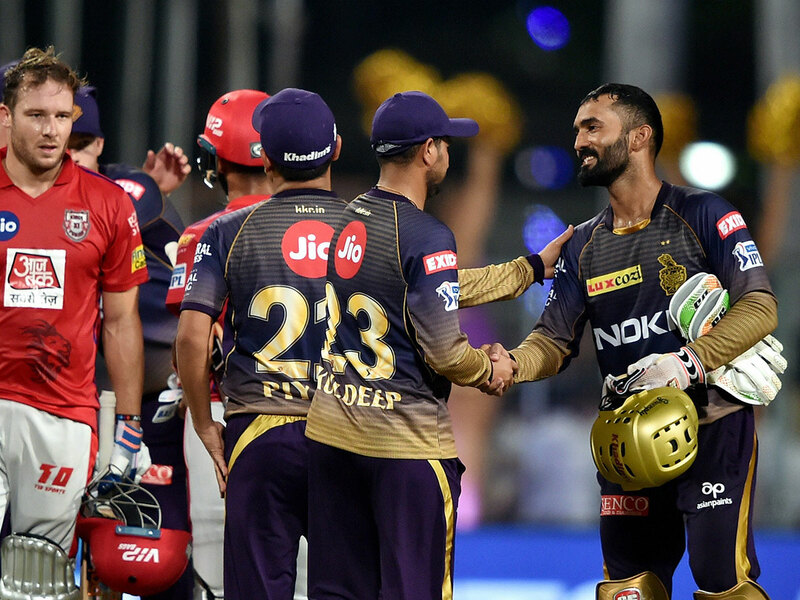 Considering the typical slow and low nature of the Kotla wicket, it will not be a surprise if KKR skipper Dinesh Karthik unleashes all his spinners from the word go. For Delhi, the bowling looked a bit off the radar in their previous game against CSK, and Ponting too agreed that the bowlers were trying to attack a bit too much since they were defending a low total of 147. But things will only get all the more difficult for them as this time they will not just have to counter an in-form Andre Russell, but also a hungry Chris Lynn at the top. Having failed in both the games, Lynn will definitely want to announce his presence in this game. Capitals could also look to bring Chris Morris into the game after trying Keemo Paul in the first two games of the season. While Morris was in South Africa during the opening game, he came in on the eve of the second game against CSK and the team management wanted him to freshen up before heading to the ground. One of Delhi’s too performers in Season XI, Morris could be handy with both bat and ball.